I'm 36 started my physical fitness training in the Marines in which I served in the infantry and light armored vehicles. Moved on to college at the Plymouth State University in NH. Got a degree in Devant and Abnormal Psychology, took courses in exercise science and anatomy and philology. Currently work as a law enforcement officer in southern Florida and part time as a physical trainer. 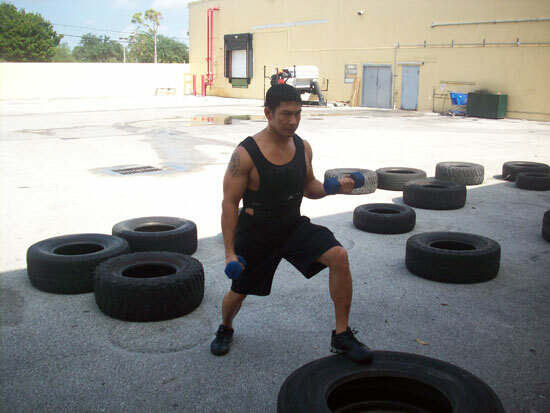 Training for SWAT and preparing to start a class called combat conditioning open to the public and law enforcement at Punch Fitness located in Deerfield Beach FL. I have used a uni-vest during my training and found massive gains in endurance and muscle strength. I have also used this vest to train some of my clients during personal training. They LOVE it. It is the best made as well as the most comfortable vest I have ever worn! This is not an exaggeration, this is a great vest. I'm looking to incorporate use of the uni-vest in my combat conditioning class.